Valentine's Day is approaching, so it's time to make plans. And while a classic, nice dinner out is always good, why not make 2018 a little different? 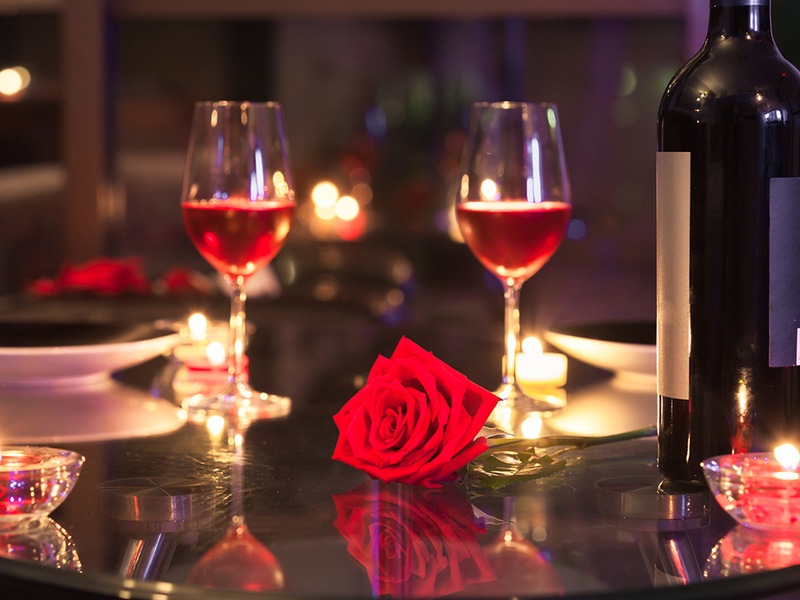 Whether you're with a significant other, a crew of friends, or flying solo, and whether you're going out, staying home, or traveling across the world, there's a Valentine's (or anti-Valentines) dinner just waiting for you to catch its eye. Courtesy of The Manly Man Co.
Not every great Valentine's dinner has to involve reservations or even travel, especially if you feel like cooking. There's plenty of recipes to pick from, but if, say, you plan on picking up a heart-shaped Le Creuset for the occasion, Food & Wine Test Kitchen manager Kelsey Youngman says that as far as dinners that will hold that vascular Valentine's shape, savory bread pudding is the way to go. If you're more inspired by the acclaimed cinematic romance of Best Picture nominee Call Me By Your Name, you are all but obligated to whip up some Baked Stuffed Peaches with Saffron Zabaglione, because, well, you know why. And whatever you make, it's easy to pair with homemade Red Sangria. Or, if you'd rather go all-in on a lovely wine, Round Pond's "The Vow" Cabernet Sauvignon is a natural fit. But let's be real. 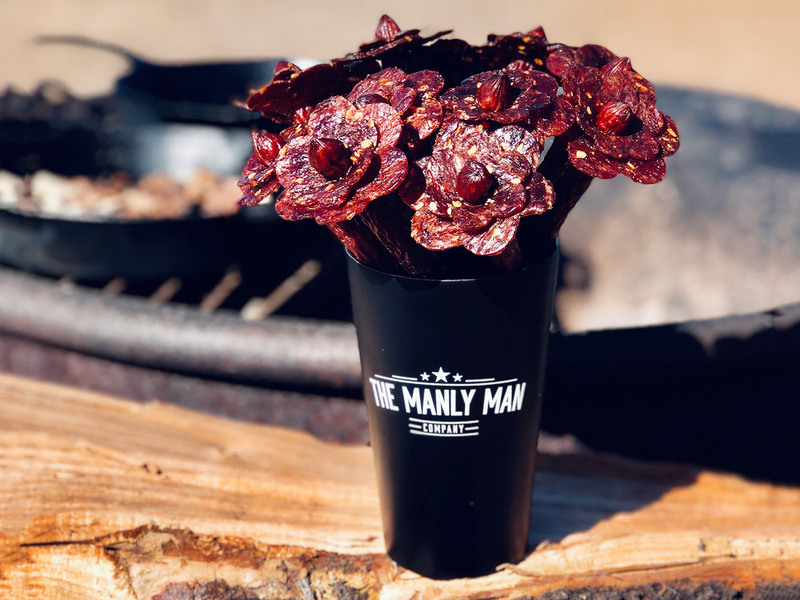 If you really want to do something different, how can you not start with a full bouquet… of beef jerky? Yes, these beef jerky bouquets are available in both "flower" and "rose" varieties. Combine them with a box of See's Candies top-notch Valentine's chocolate (go heavy on the Scotchmallow Hearts) for a Valentine's snack-fest to remember. If you want to have a unique Valentine's Day dinner outside the house, though, there's no shortage of options. 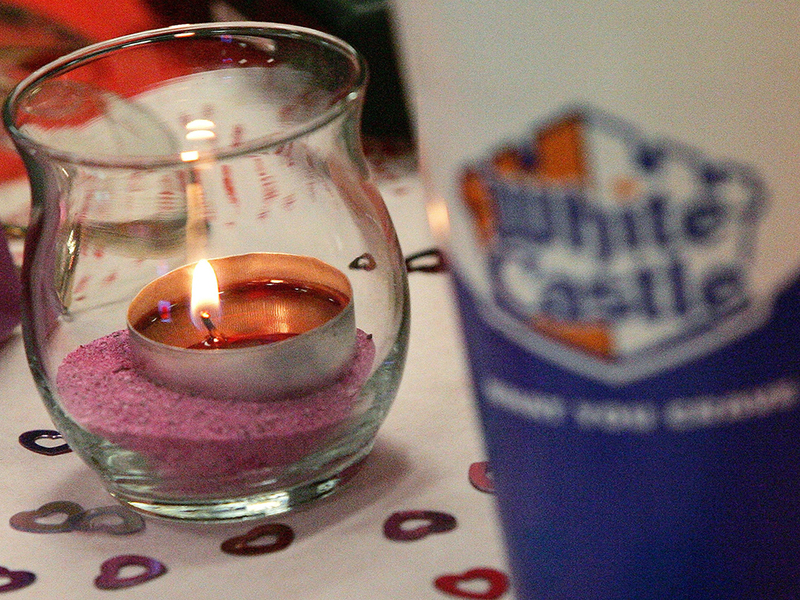 If you or your Valentine's Day accompaniment are into small, square burgers, well, head to OpenTable right this second, because White Castle's 27th annual Valentine's Dinner, featuring hostess seating, table service, and a limited edition smoothie, is clearly made for you. Alternatively, you can round up a crew of friends, stop by the mall, take a look around, and appreciate that you're no longer a teenager when you to pick up some of Auntie Anne's Valentines Day-only heart-shaped pretzels. It's buy one, get one free, so you can either split with a partner, or get both the original and cinnamon sugar flavors for yourself—or round out the experience with a similarly heart-shaped Krispy Kreme donut. For those in Los Angeles, you could also lean all the way into one particular aspect of the holiday with Fig Restaurant's Aphrodisiac Infused Tasting Menu, courtesy of Chef Yousef Ghalaini. 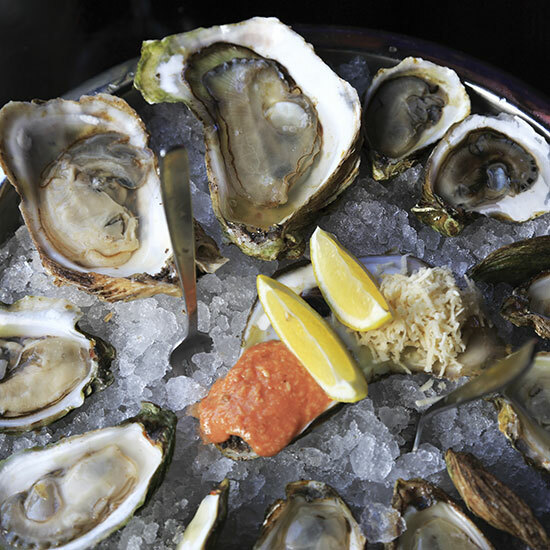 It's what it sounds like, with menu highlights including a Morro Bay Oyster with Champagne mignonette and cucumber cocktail sauce, plus a Love Potion #9 cocktail. New Yorkers looking to go in the opposite direction, on the other hand, should head to the Harvey at The Williamsburg Hotel for a full "Anti-Valentine's Day" dinner, featuring a menu that is "built not to share." 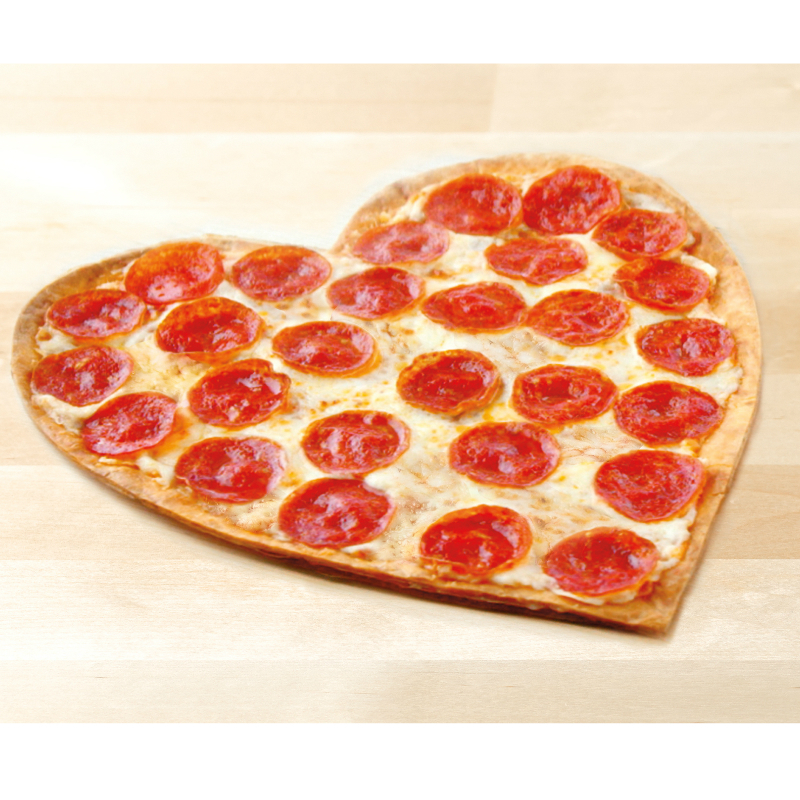 And last but definitely not least are some unforgettable Valentine's splurge options. If flowers and France sound like the Valentine's Day of your dreams, make your reservations for the Hôtel de Crillon in Paris now. A floral workshop led by renowned florist Djordje Varda (€280 or about $349) will leave you with a masterpiece to toast with Champagne, followed by a curated tasting menu at L’Ecrin, with highlights including Champignon de Paris and Scallops ‘Pot-Au-Feu.' 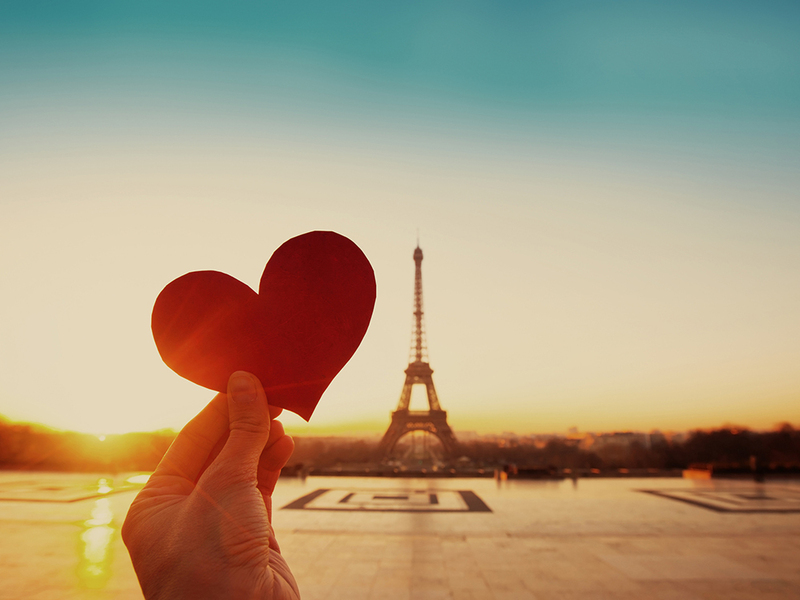 Then add the Valentine's Day In Paris package for spa treatments. A desire to escape the winter can also be fulfilled, along with the rest of your list, with the Valentine's Day package at One & Only Palmilla, located at the edge of the Baja Peninsula. Think: A beautiful beachfront view; perfect, swimmable water; a choice between two different four-course Valentine's feasts; and even the option to experience "ancient healing treatments with a shaman," among a host of other exclusive activities. It's sure to make for a warmly wonderful Valentine's you'll never forget. Of course, there might be a luxurious package out there that caters even more specifically to your Valentine's desires, so check the Travel + Leisure list of "The Strangest, Wildest, and Most Luxurious Valentine’s Day Hotel Packages" for even more incredible choices.